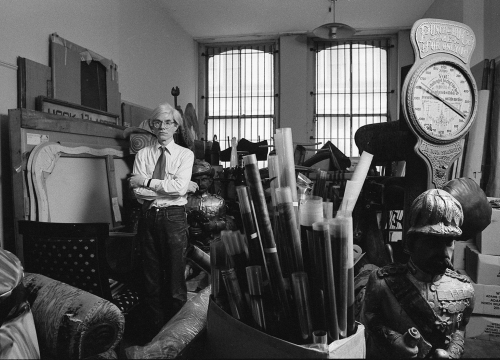 New York, NY, August 19, 2015 -- Maison Gerard, the New York City based design gallery is pleased to announce Two Days in the Life of Andy Warhol, an exhibition of 15 rare black and white photographs by Fine Art photographer, Robert Levin. The show will run from Thursday, December 10, 2015 to Thursday, January 7, 2016 at the gallery’s 43 & 53 East 10th Street locations. 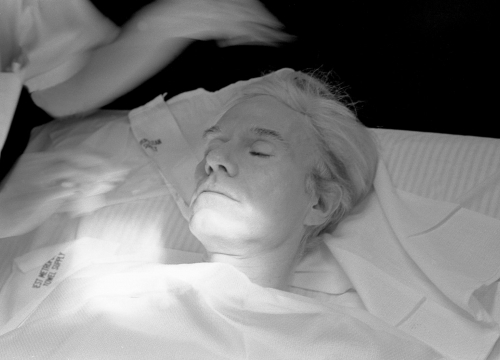 This will be Levin’s first US exhibition of the photographs, which provide a stunning and intimate glimpse into the daily routine and extraordinary life of famed artist Andy Warhol. 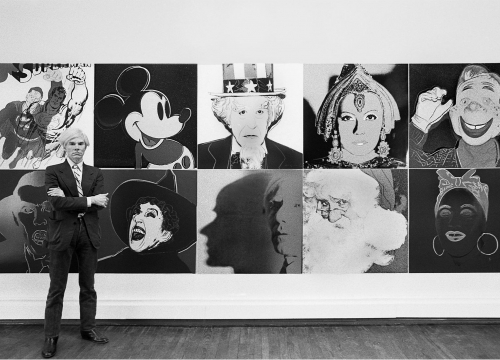 This exhibition is guest curated by Warhol expert and collector, James Hedges, CEO of John Barrett Holdings, who compiled the world’s largest private collection of Warhol photography over a ten year period. 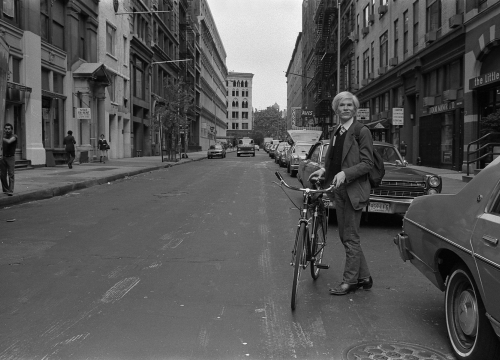 In the spring of 1981, Levin was on assignment for the German magazine, Stern, to capture a moment in time in Warhol’s life – trailing him while at work at The Factory, and out and about in the city. 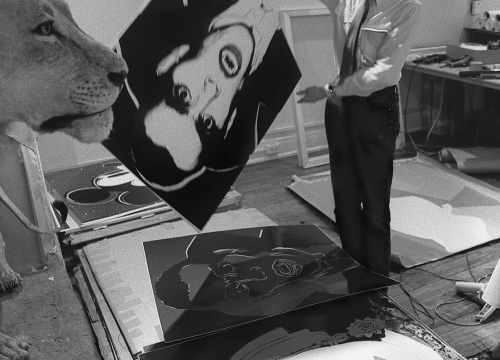 “Levin’s images are distinct in their approach to the subject matter, and through this unique lens they observe a side of Warhol that has never been revealed by any other photographer, which is fascinating for someone who was such a public figure, and constantly being recorded,” explainsBenoist F. Drut, Managing Partner at Maison Gerard. 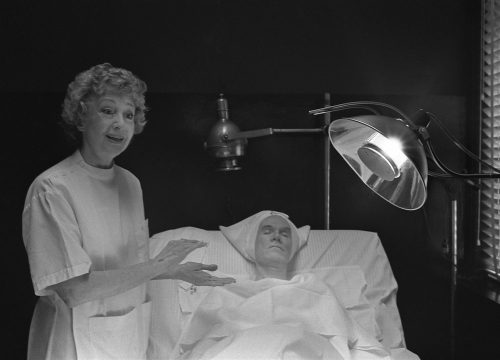 “Many of the scenes were somewhat recognizable to me, as there are known themes which have been documented as having been part of Andy’s life, but certain photos, such as the series with the aesthetician, are completely unlike anything I had ever seen from other sources,” comments Hedges. 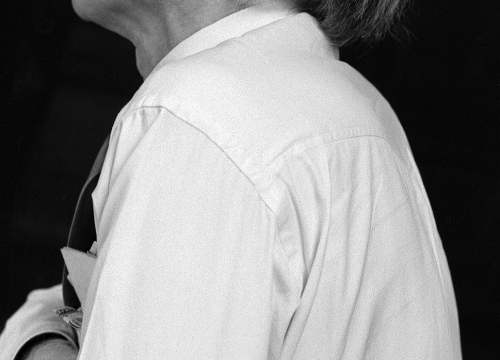 Levin photographed Warhol throughout the day without any restrictions. 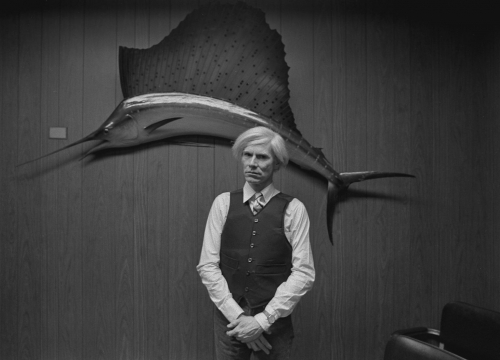 Warhol had an itinerary of activities and Levin was there to accompany him with his camera. 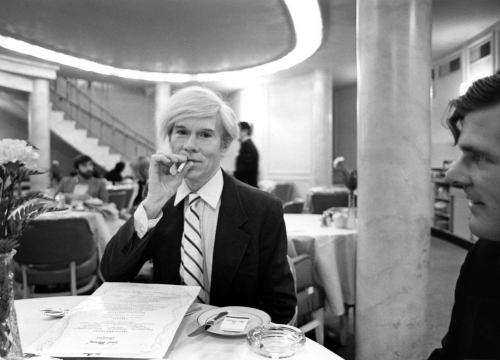 Viewers will see Warhol mugging for the camera at the Pierre Hotel where he was having coffee and in a playful moment, stole a cigarette from Levin for a more dramatic shot. Later that day, he would be back to business at The Factory. Only a few of the photographs were published in Stern. This exhibition offers a fresh look, another perspective on the business of being Andy Warhol and The Factory. 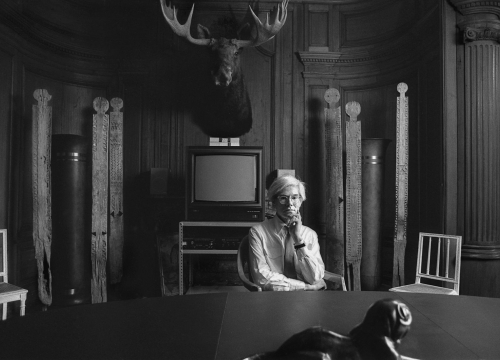 Forgotten for 34 years, a handpicked selection from the 11 rolls of black and white Kodak Tri-x film provides a poignant and insightful look at Warhol just before the important opening of Myths at the Ronald Feldman Gallery in Manhattan in 1981. 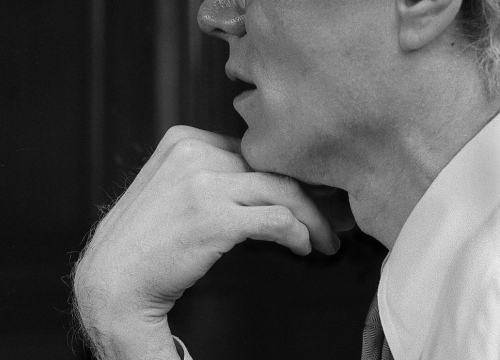 Levin’s images are a unique documentation of one of the most significant artists of the 20th century. 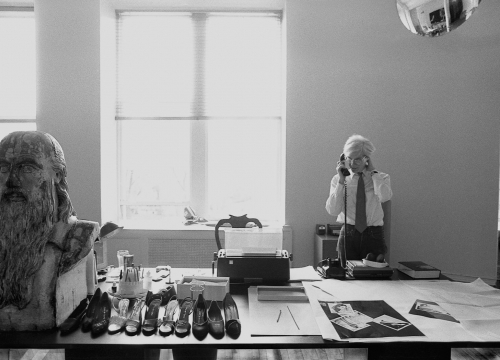 They provide a behind-the-scenes look at Warhol as an established businessman, as well as insight into his personal pursuits, interests, collections, and the success of his many ventures. 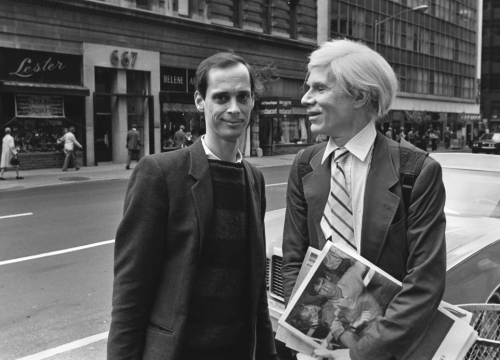 There are wonderfully candid moments including Warhol riding a bicycle on East 11th Street, an impromptu chat with John Waters on Madison Avenue, the artist with copies of Interview magazine in hand, the image of Warhol’s desk that shows his whimsical side with the bust of Leonardo set alongside his collection of Halston shoes, and Warhol in his many storage areas in The Factory ensconced by antiques, found objects, Interview magazine blueprints, and taxidermy. Since its founding in 1974, Maison Gerard (maisongerard.com) has specialized in fine French Art Deco furniture, lighting and objets d’art. Over the past fifteen years the gallery has expanded its focus from 20th century to include a diverse and ever growing range of contemporary design, presenting the work of Hervé van der Straeten, Carol Egan, Ayala Serfaty, and Italian architect Achille Salvagni, among others. 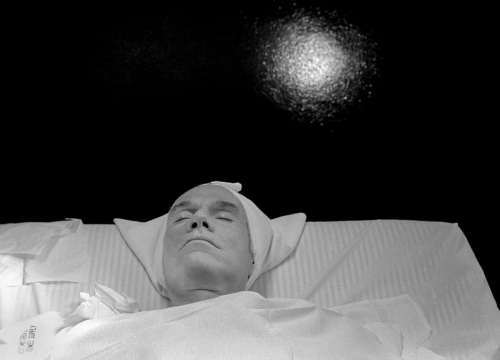 Robert J. Levin has been a photographer for over 40 years. A Fine Art photographer he was awarded a National Endowment for the Arts Individual Photography Fellowship in 1976. 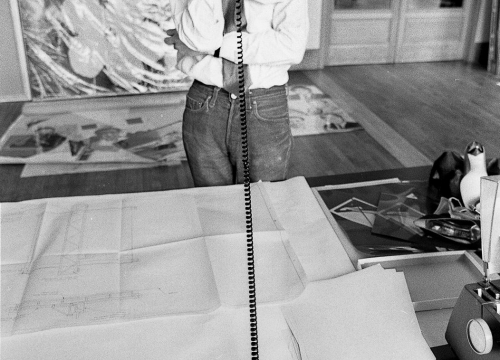 His work is in the permanent collections of the Museum of Modern Art, NYC, Smithsonian, American Art Museum, the Eastman House International Museum of Photography, the Getty Museum, LA, (Sam Wagstaff Collection), the Museum of Fine Arts Houston, and the Andy Warhol Museum as well as many corporate and private collections. His work has been exhibited at New York galleries including Castelli Graphics, Janet Borden Inc. Allan Klotz Gallery, and other galleries in the US and abroad. James R. Hedges IV is the CEO of John Barrett Holdings, Inc. Hedges was an early leader in the hedge fund and alternative investments industry and founded Montage Finance in 2010 to invest in contemporary art. Hedges, an active art collector for over 20 years, is the Managing Partner of Hedges-Projects, an organization created to sponsor exhibits of contemporary art, where he works most frequently with the work of Andy Warhol, having created the world’s largest private collection of photographs by the artist. He has served on an acquisition committee at the Museum of Modern Art, a Founder of the American Friends of the Tate Gallery, and a Trustee of The DIA Foundation among other roles with prestigious arts institutions.